Residential design and interiors on Martha's Vineyard. From concept through construction, to the final touches. We design, build and sell homes with the latest and greatest in building materials and upgrades. CORE Remodeling Services, Inc. is a full service remodeling design and build firm. 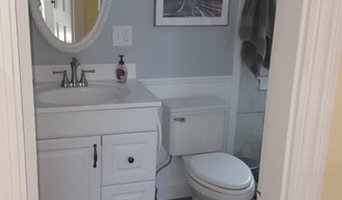 We specialize in remodeling kitchens, bathrooms, basements, attics, additions, whole house renovations, deck building, siding, window and door replacements in the Worcester County MA and Metro West MA area. We know your time is important and want to make sure we are the right contractor for your project. Please take a minute to read our project minimum requirements at the bottom. We are committed to developing long-term relationships with our customers. We will exceed expectations and gain your trust through superior performance by every member of our team. We pride ourselves on bringing professionalism to a trade that has a well-earned, poor reputation. Project Minimums General Carpentry & Remodeling is a $5,000 minimum estimated project size for all carpentry or exterior siding related projects. •Unless you are a returning customer or it is part of a larger project, we do not do small repair work. Window & Door Minimums 2 each, minimum exterior entrance type doors 5 each, minimum replacement windows •We only do installations for windows and doors that are ordered through our company. We do not install customer purchased products. •We do not do window and door repairs that are not part of replacements. Kitchen Tech has successfully completed over 10,000 kitchens and baths in their over 30 years of service. Kitchen Tech is a full-service kitchen and bath firm with an accessible feel. Whether a small renovation or a whole house remodel, your project will be a top priority to our staff. Choose us as your full-service licensed building contractor ready to complete kitchen, bath, additions and custom renovations. You can sit back and relax while we handle all your remodeling needs. We earn your trust before, during and after your new kitchen or bathroom installation is complete (you are giving us the keys to your home; therefore, we must be responsible to you). When you choose to work with us we understand you are trusting us with your home and family. Remodeling any room takes skilled craftsmen. You can have the right tools but without talented, skilled craftsmen the job will be inferior. It is not just about finding a beautiful cabinet or even the design. It is the people working on the remodel that make the difference. 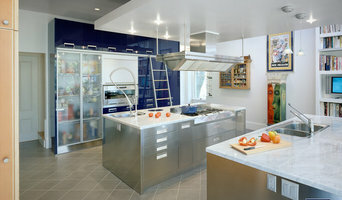 At Kitchen Tech, we take your ideas and dreams add our expertise, and bring your vision to reality. Our team of licensed craftsman: remodelers, plumbers, electricians and designers are here to assist you. Please give us a call at 508-888-2494 to arrange for your free consultation. We look forward to hearing from you and earning your business. G. M. Roth Design Remodeling, Inc.
Our mission at Liberty Hill Construction is to provide a predictable, stress-free experience for our customers. Learn more about us by checking out here.our video here. Based in Bedford, New Hampshire, we specialize in all areas of interior and exterior residential remodeling. We work closely with our customers from start to finish, providing guidance and support through all phases of a remodeling project. Exceeding expectations is key at Liberty Hill Construction. As general contractors, we hire reliable, insured trade partners and personally oversee your project through completion. If you are thinking about a home remodeling project…consider working with us! Feel free to give our office a call at (603) 472-4414 or click the Contact Me button to the right. *Authorized StarMark Cabinetry Dealer* Since 1986 G.M. Roth has been designing and building award-winning projects-offering small town service with world-class products! We pride ourselves on our 10 STEP process for a successful remodeling project to our clients' homes - from the design phase, beginning with a complimentary consultation and design development, to the build phase, starting with a project orientation meeting to the final construction and three-year warranty. Whether it be a kitchen and bath remodel, an in-law suite addition or a sunroom, we set ourselves apart by going the extra mile to ensure the highest quality result by customizing a design that brings a homeowner's vision a step closer to reality. We offer a 6000 square foot Showroom to help in the product selection process, as well as allowing clients to view computer-generated drawings that let them "see" a project before it is built. Our design experts and craftsmen combine decades of hands-on experience with a devotion to quality work to breathe new life and value into our clients' homes. From a dream kitchen or bath, room addition, or to a complete home renovation, we're your best choice in New Hampshire and Massachusetts remodeling. 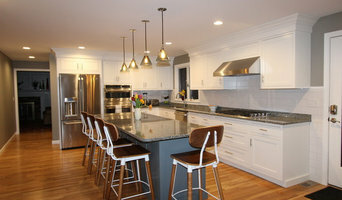 Award Winning East Coast Design Studio | 2x Houzz Winner!